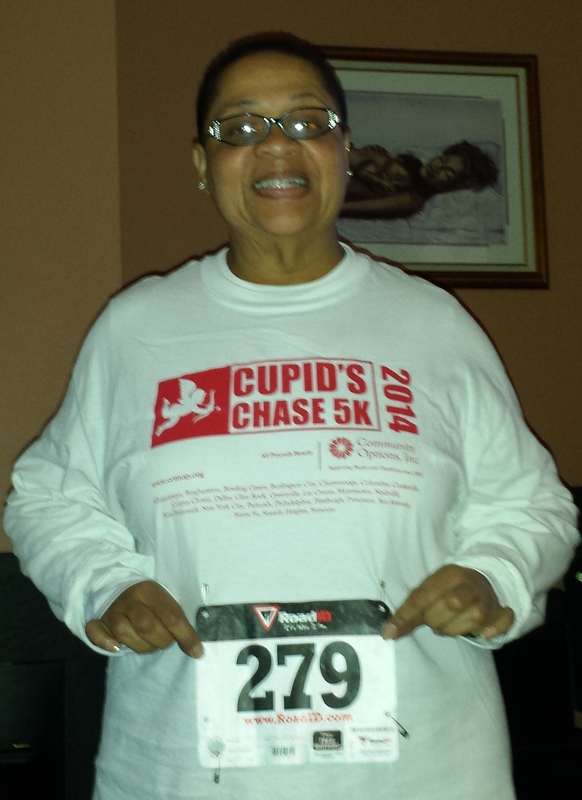 Today was the rescheduled Cupid’s Chase 5K in Morristown, New Jersey. So I learned a lesson today. It’s a good idea to visit the route before doing it. I often walk 3 to 4 miles but my park route is for the most part flat. Morristown is full of hills! Half way through I was exhausted and out of breath. I kept telling myself that I could do the distance and just had to push through the hills. Did I mention the slight wind that we were generally walking into on the first half of the walk? By the time I could see the last hill which was just before the finish, the police said that we had to walk on the sidewalk because they were no longer curbing traffic. It was a messy finish uphill in slush and single file behind the walker in front of me. When we turned into the parking lot where we started and I saw the time clock I was amazed. I finished about a minute faster than my January 1, 2014 time. Go figure. Stay tuned for March event! Posted on February 22, 2014, in re-invention, Thoughts and tagged 5K, Cupid's Chase, hills, Morristown, NJ, time, wind. Bookmark the permalink. Leave a comment.